Wallhanging adds interest to any wall. Buy your Wallhanging here today. 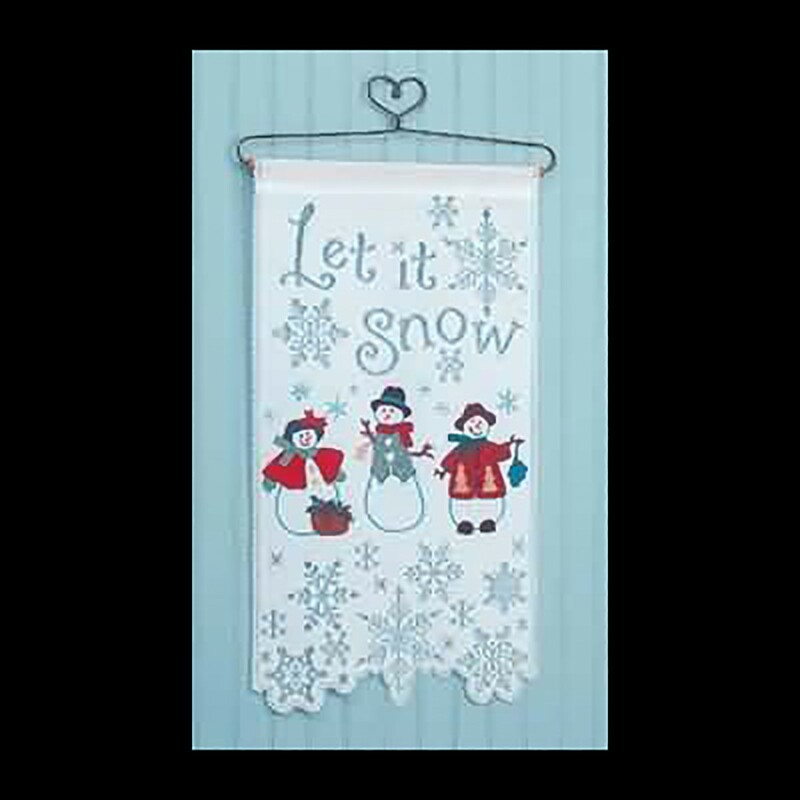 Decorative Wallhanging Tapestry. 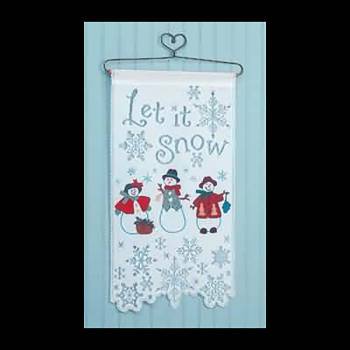 Let it Snow wall decoration. Features snowman family. Includes lace wall hanging and wood and wire hanger. Measures 13 in. wide x 25 in. high.